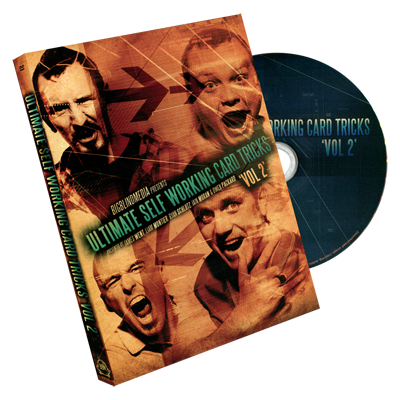 Today, when you order "Ultimate Self Working Card Tricks 2 Volume Limited Edition Set", you'll instantly be emailed a Penguin Magic gift certificate. You can spend it on anything you like at Penguin, just like cash. Just complete your order as normal, and within seconds you'll get an email with your gift certificate. Limited Edition Set includes BOTH USWCT Vol.1 and Vol. 2 in one complete packag! Ok. Volume 1 is the best magic DVD I have ever purchased. Volume 2 falls short. I have reviewed each individually within their respective product listings. As a set: volume 1 is worth the price of this set alone. There is one trick (Convergence) in volume 2 that is worth its weight in gold. My advice: If you don't own volume one, buy this set right now. If you see Convergence and can live without it, just go buy volume one of this set. A side note: these tricks are incredibly simple to do, but not "beginner" or babyish. They are sophisticated, and some are quite frankly jaw-dropping. The effects in volume two are a little drawn out with less of a payout. They appear to be the "leftover" effects. Volume 1 was the best from the two but they were both great. Some really nice effects you can perform without any sleight of hand. I have added 3-4 of the effects into my own personal routine and would highly recommend it. Great stuff. I have purchased a lot of magic over the years; most of it ends up on my shelf. Not this. The material is easy to perform from a technical perspective, but these tricks are not your grandpas tricks. I will be auditioning at the Magic Castle on November 4th - although I had no intention of including anything from this DVD, I will be including "Your Aces Are Marked" by Terry Legarould as a preamble to Homage to Homing by John Guastaferro. It is that strong, much like many of the effects found on these discs. Don't let the "Self Working" part of the title give you the impression these effects have a lower value; they are as strong as many of the workers you currently have, except they don't require too much knuckle busting to perform. Is it possible to have too much of a good thing? 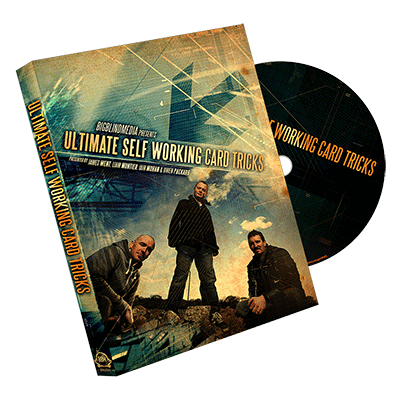 This set certainly comes close.. with so many great effects crammed into these two dvd's you may feel a bit overwhelmed. The performances and explanations are very thorough, with helpful tips thrown in here and there. If self working tricks are your thing (and even if they're not) you won't regret picking up this set! i could not believe my eyes when viewing these tricks ,top class.i have been doing difficult work for years,so i might just have a holiday and do this easy stuff instead. 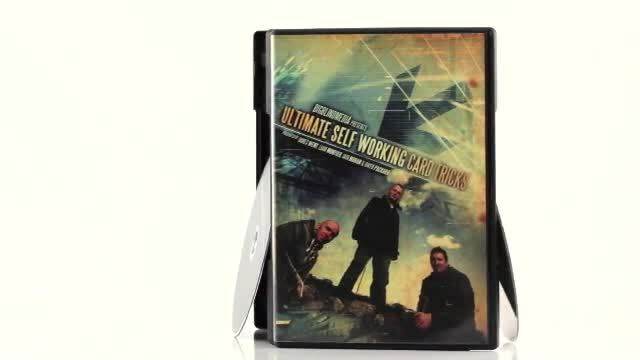 This is one of the most useful and entertaining DVD sets that I have purchased in years. Convergence alone made it worth the purchase. Thank you Cameron! There are plenty of great eeffects between the two discs and just watching the performances are fun. I can not stress enough about how much I love this. Without a doubt, this compilation of divine pasteboard wizardry is the best I've seen in a while. Simply put? Grab your copy while they're still available, get yourself a slick presentation and mindfry your spectators! 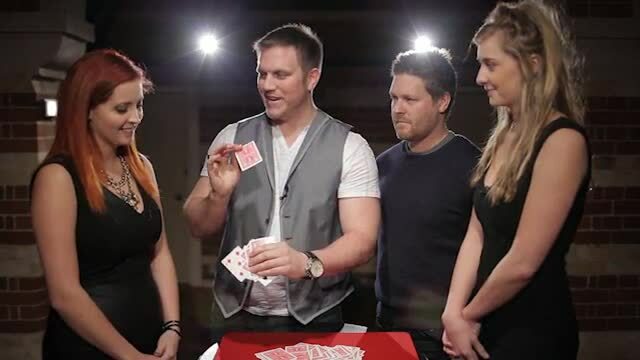 My review can give this collection of self working card tricks 6 stars if BigBlind Media would crank out a third DVD in this genre, don't be surprised if they do. I even saw their ad in Magic Magazine that made me suspect there just might be a third DVD in the series and if there is...Penguin Magic would be wise to sell them as a set...one more time!